I haven’t updated on our “real food” learning in the last few weeks, but we’ve continued with it, even through all the busyness we’ve had lately. We’ve looked at and discussed some of the differences between industrial and real food, including some of the current controversies, like GMO crops, aspartame in milk, and so on. 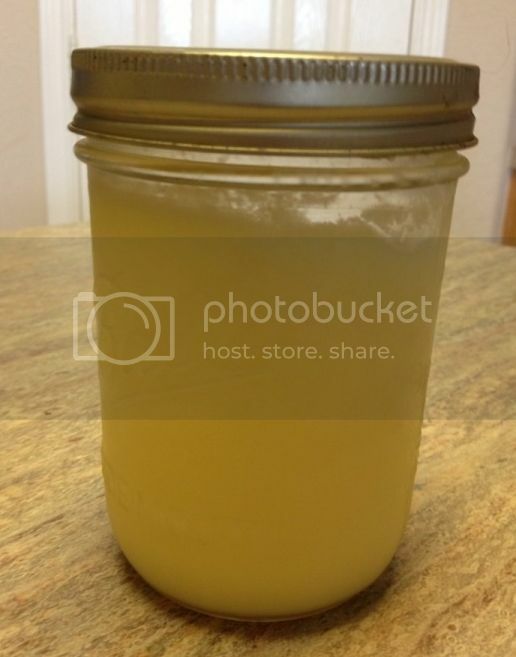 We also learned about healthy fats, and made ghee, or clarified butter. I want to share more about the resources we’ve used in my next update. 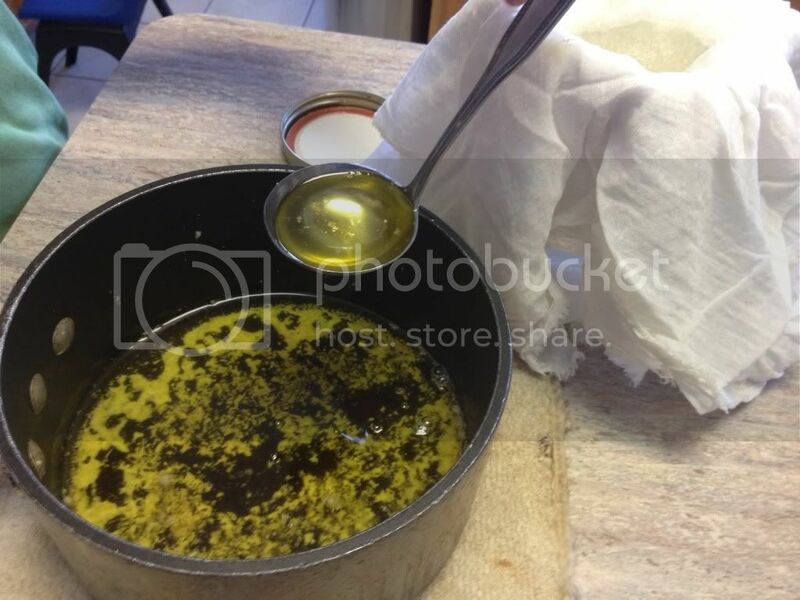 This time, I’m going to show you how we made the ghee. 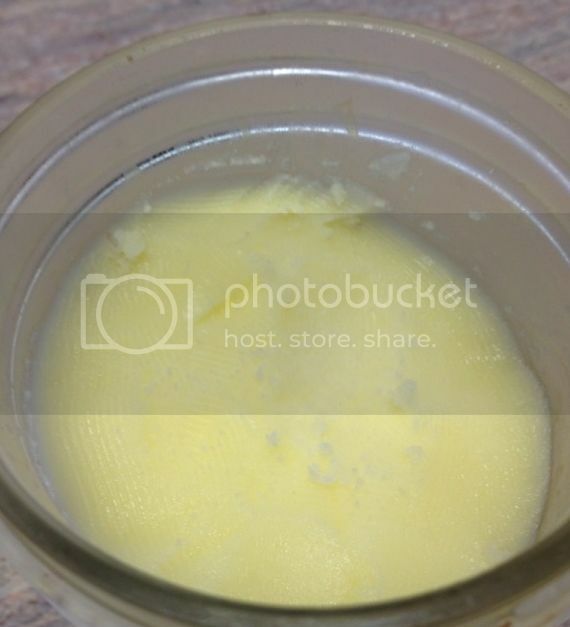 Ghee (pronounced with a hard ‘g’ and silent ‘h’) is butter that has been clarified – had more of the water and milk solids removed than regular butter – which makes it highly preservable, reduces the lactose and casein content, and gives it a higher smoke point, making it more suitable for high temperature cooking. It’s used in many cultures around the world. 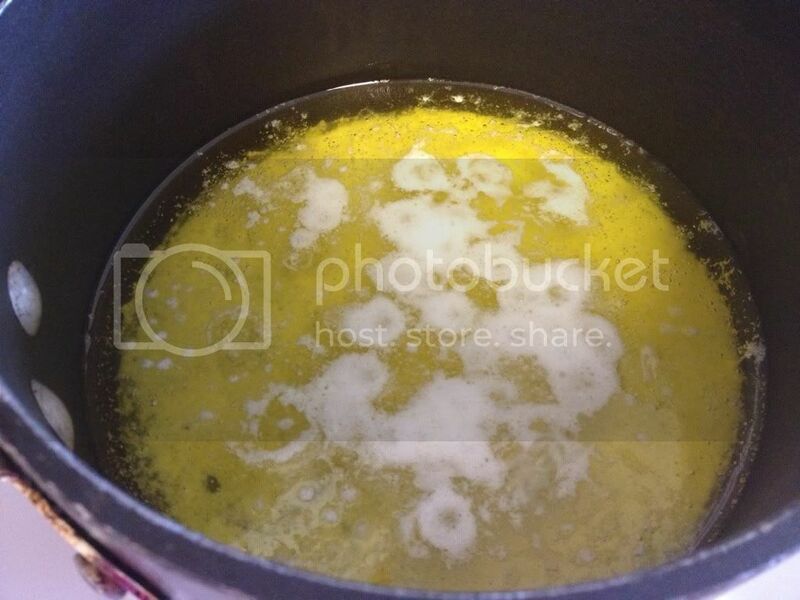 I really wanted to try the crockpot method, but on the day we did it we had to leave the house in the afternoon and wouldn’t have been home when it finished, so we did the direct heat method. I definitely want to try it in the crockpot next time! For our first try, we used store-bought, hormone-free but not grassfed butter. Now that I feel more comfortable with the process, I’ll use my good grassfed butter next time. 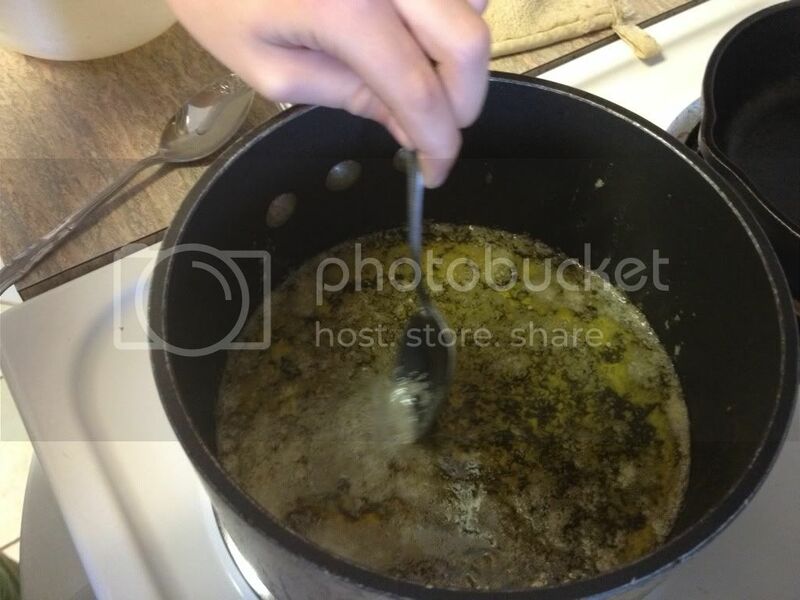 We put the butter in a saucepan and brought it to a simmer. 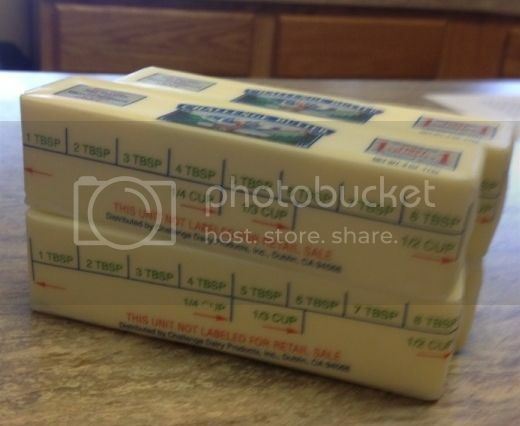 Once the butter had melted, it began to separate into the three layers. After the butter had simmered for about 40 minutes, we skimmed the foam off the top. Next, we ladled it through a cheesecloth-lined funnel into a jar. 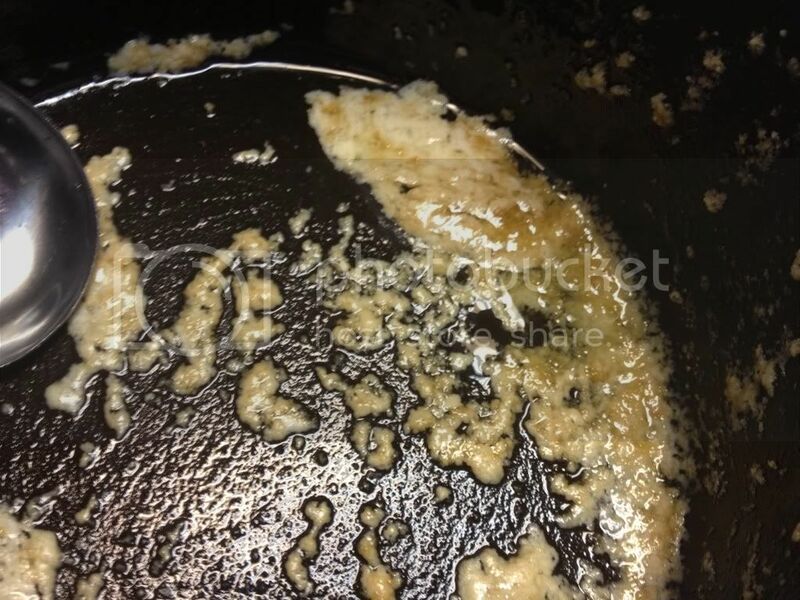 The sediment left in the bottom of the pan made a great treat for our chickens! Here it is! 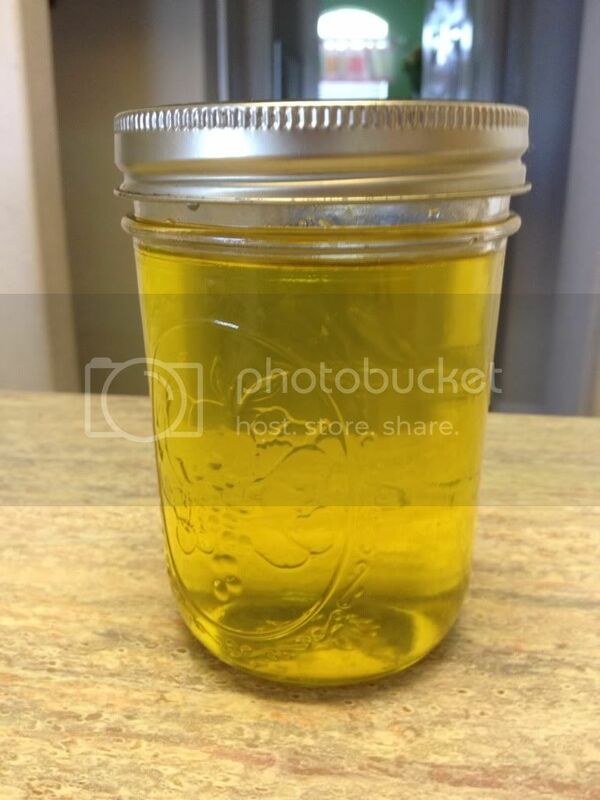 Nice clear, pure, clarified butter! As it cooled, it solidified into a nice, spreadable consistency. It’s supposed to keep for two to three months at room temperature or up to a year in cold storage. We’ve been keeping ours in the refrigerator and using it for cooking, or just to spread on a biscuit. It works anywhere that butter would work. The flavor is definitely unique, but it’s very tasty! Next time, I’ll share more about the resources we used to learn about industrial versus real food and healthy fats, and we’ll move on to learning about the health benefits of pastured and organ meats. Wow this is really neat! Thanks for sharing the pictures and explaining. I have thought about doing this with the kids before.